Established in 1989, this award consists of a scientific book and a citation. To be given as warranted, but at most annually, to the M.A. student in the Statistics Department showing the greatest promise in statistical research. If you would like to contribute to the Elizabeth Scott Fund in Statistics please use the online form. This Fund was established to honor the memory and achievements of Elizabeth 'Betty' Scott (1917-1988). 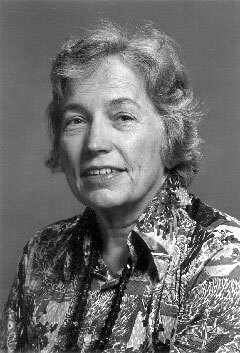 Scott was a lifelong Berkeley resident and founding member of the department (since 1962), made significant contributions in Statistics and Astronomy (which was her first love) and Statistics and Environmental Studies. Starting out in the 1930s in a university that was almost entirely bereft of women role models, Scott worked tirelessly and determinedly for equal opportunities and equal awards for women in academia. It is no exaggeration to say that today many women owe their position in academia as equal partners among men to Scott's commitment to this cause and her outstanding achievements, as an academic, polemic, warrior, and friend.